What is a Naturopath or Nutritionist? Monique is available Tuesday, Wednesday, Thursday and Saturdays. 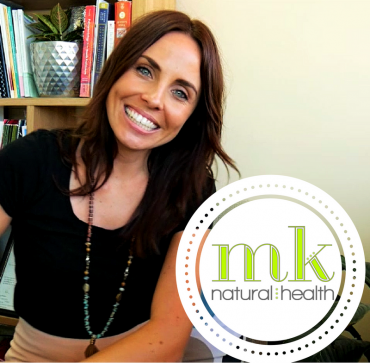 Monique is an accredited and experienced Naturopath and Nutritional medicine practitioner with a strong dedication to helping people restore balance in their lives through therapeutic natural remedies. She has an extensive knowledge in nutritional supplementation, herbal medicines, individual dietary planning as well as a keen interest in fitness and healthy lifestyles. Monique has had the pleasure to train with some of the industrys’ most highly regarded practitioners, from well known complementary medicine doctors to some of the industrys’ most renowned, and longest standing Naturopaths. Monique grew up in a beautiful country town in NSW called Tenterfield (The Birthplace of our Nation) where her family had a beef cattle farm and grew vegetables such as Capsicums, Pumpkins and Cabbages. Many afternoons were spent planting, picking the crops and packing the vegetables for export to the local areas. The small community meant that she developed a strong work ethic and love of people early on. What qualifications does Monique have? Monique studied at the Endeavour College of Natural Health (formally known as the Australian College of Natural Medicine) from which she graduated with excellency in dual degrees: Bachelor of Health Science (Naturopathy) and Bachelor of Health Science (Nutritional Medicine). Not only does Monique have hands-on experience from her training with other practitioners, she continually updates her scientific and natural therapy knowledge and skills through external training courses. We can assist you with all of your hormone, mood, weight, skin, digestive or metabolism concerns! Claim back your Vitality and live your best life! We can assist you with all of your mood, weight, energy, digestion, immune or hormone concerns! Start feeling like the Man you were born to be again! From acne, digestion, weight, stress, mood to concentration and hormone balancing! We can help. Can’t take tablets? That’s ok – we hand-make supplements for your child to improve taste and ease of taking! Please note that we often have time available outside of these hours. We also offer Skype & Phone appointments Friday Mornings. Please contact the clinic to find out more. Want more Info & Free Tips?